Almost one year we tread life. Until now there is the spirit of fatigue and how to survive the crush of life. During this time, a lot of changes that occur within one year. By now I was sitting in the second grade of elementary school. Atmosphere played that a few years ago I lead now filled with school subjects that feels endless. There is some activities that I used to do whole this year. Now, I am Wishing You a Merry Christmast, 25 December 2013 and Happy New Year, 1 January 2014. What researchers are learning about honey's possible health benefits. Today, many people swarm to honey for its antibacterial and anti-inflammatory properties. Holistic practitioners consider it one of nature's best all-around remedies. But outside of the laboratory, claims for honey's healthfulness are unproven -- except in the area of wound care and, to a lesser extent, cough suppression. Honey is natural and considered harmless for adults. 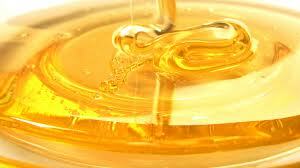 But pediatricians strongly caution against feeding honey to children under 1 year old. "Do not let babies eat honey," states foodsafety.gov, a web site of the U.S. Department of Health and Human Services. That's because of the risk of botulism. The spores of the botulism bacteria are found in dust and soil that may make their way into honey. Infants do not have a developed immune system to defend against infection, says Jatinder Bhatia, MD, a Georgia neonatologist who heads the American Academy of Pediatrics' Committee on Nutrition. "It's been shown very clearly that honey can give infants botulism," a paralytic disorder in which the infant must be given anti-toxins and often be placed on a respirator in an intensive care unit, he says. Bhatia has never seen a case of infant botulism. The National Honey Board, which the USDA oversees, also agrees that infants should not be given honey. "The concern for babies stems from the fact that infants lack the fully developed gastrointestinal tract of older humans," the Board's web site states. In the laboratory, honey has been shown to hamper the growth of food-borne pathogens such as E. coli and salmonella, and to fight certain bacteria, including Staphylococcus aureus and Pseudomonas aeruginosa, both of which are common in hospitals and doctors' offices. But whether it does the same in people hasn't been proven. Shop for honey and you'll see that some are lighter, others are darker. In general, the darker the honey, the better its antibacterial and antioxidant power. Honey comes in many varieties, depending on the floral source of pollen or nectar gathered and regurgitated by the honey bee upon arrival in the hive. Honey producers may apply to the U.S. Department of Agriculture (USDA) for a grade on their product, but the score does not account for color. Rather, the honey is judged for clarity, aroma, and flavor, and the absence of sediments, such as honeycomb particles. Manuka honey is sometimes used to treat chronic leg ulcers and pressure sores. Manuka honey is made in New Zealand from the nectar of Leptospermum scoparium. It's the basis of Medihoney, which the FDA approved in 2007 for use in treating wounds and skin ulcers. It works very well to stimulate healing, says wound care specialist Frank Bongiorno, MD, of Ann Arbor, Mich.
"Medihoney has been our standard for healing wounds in the past year, since it started coming on the market," Bongiorno says. A healing wound, whether chronic or acute, is a clean, granulating wound that is absent of bacteria and swelling. Bongiorno doesn't use Medihoney for burns because it can cause pain. Bongiorno has visited Haiti, where people use ordinary honey for wounds, and although it isn't harmful, it doesn't have the impact of Medihoney, which is purified with ultraviolet light rather than heat. Its antibacterial action is better preserved, he says. Some laboratory studies suggest honey has the potential to clear up stuffy noses and ease allergies triggered by pollen. But it's a bit of a stretch to apply that to patients, says New Jersey allergist Corinna Bowser, MD. Bowser says she doesn't consider the studies on honey and congestion to be adequate, for a few reasons: most allergy sufferers are sensitive to wind-carried pollens like grass and ragweed -- the kind not carried by bees and transformed into honey. "If you want to treat someone for common allergies, it's not commonly found in bee honey," Bowser says. "Even if there are allergens in the honey, it wouldn't make a difference, because it gets broken down by stomach acids and doesn't trigger an immunological response," Bowser says. In contrast, "The pills we take for allergies are coated so they don't get broken down," she says. Maryland family doctor Ariane Cometa, MD, who describes herself as a holistic practitioner, likes to use a buckwheat honey-based syrup to ease early symptoms of a cold. She says it calms inflamed membranes and eases a cough -- the latter claim supported by a few studies. In a study that involved 139 children, honey beat out dextromethorphan (a cough suppressant) and diphenhydramine (an antihistamine) in easing nighttime cough in children and improving their sleep. Another study involving 105 children found that buckwheat honey trumped dextromethorphan in suppressing nighttime coughs. "If you're suffering from a cold or something going on in the throat or upper airways, getting on board with honey syrup will help fight infection and soothe membranes," says Cometa, who also recommends a buckwheat honey-based allergy medicine. Even if honey is natural, it is no better than ordinary white or brown sugar for dieters or people with diabetes, says dietitian Toby Smithson, RD, CDE, a spokesperson for the American Dietetic Association and founder of the web site, Diabetes Everyday. 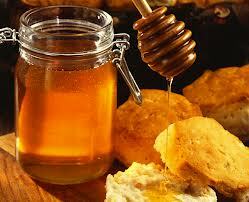 A tablespoon of honey, in fact, has more carbohydrates and calories than granulated white or brown sugar. Smithson, who has type 1 diabetes, says she prefers getting carbs from a cup of fresh berries or a carton of yogurt because they have about the same number of carbs as a tablespoon of honey -- but less sugar. We also recommend the following tips for keeping skin at its pure and natural best. Protect Skin from the Sun: Use sunblock every day - not just when it’s sunny. Apply sunscreen 30 to 40 minutes before exposure to allow active ingredients to begin working.